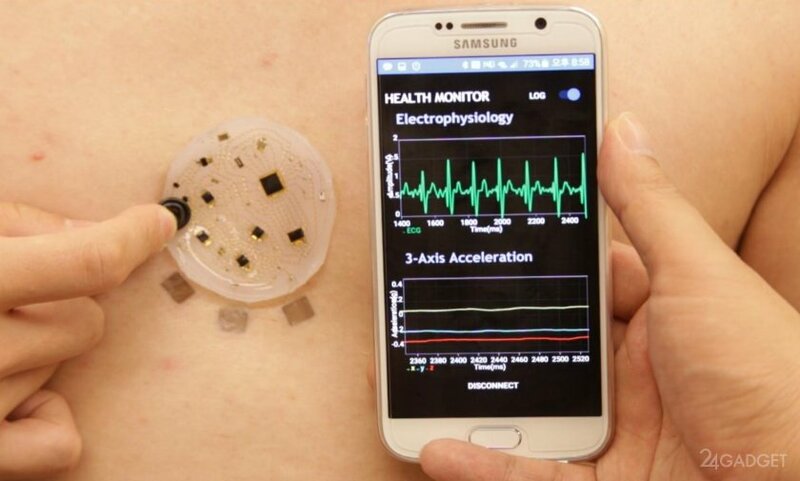 Ken-Ying Dong from the University DGIST and a team of American scientists has created a compact sensor for medical applications connecting to your wireless network. Due to the small size of its carriage will not cause the patient any discomfort — new silicone-based looks like a band-aid. 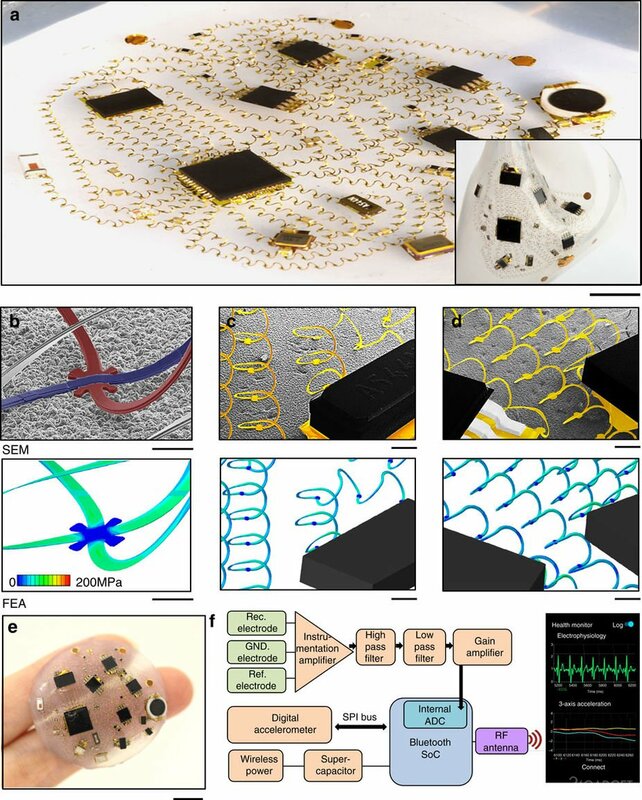 Fifty microsensors, connected by a plastic wire spools that collect information about the activity of the heart, the movements, the breathing rate, the activity age and the brain. The patch can be glued to almost any place. Connected to the network, it sends this information to the computer of the attending physician or the servicing medical personnel. Location 250 wires-spring in the web form ensures the extensibility of the device in any direction. Due to this, it does not hinder movement and does not occupy much space. In the future, the team plans to increase the ductility of the connectors to use the developed system in robots. A new medical device in the future will allow you to remotely monitor the health of people living in remote areas, by using the interactive systems therapy and telemedicine services. You are reading an article on the Smart patch for remote health monitoring of patients (3 photos). All materials on the site Gadgets F, а также и статья Smart patch for remote health monitoring of patients (3 photos) - written for the purpose of information enrichment and we are happy if you like our magazine.